As a youngster he studied calligraphy and Taekkyon under the tutelage of the renowned Ok-Nam Han 11 Dojang. While a fifth year grade school pupil, young General Choi was indefinitely suspended for planning and directing a mass student walkout from his school in the wake of the Kwang-Ju Student Uprising. In Tokyo, General Choi was forced to join the Japanese Army as a student volunteer. Towards the latter part of World War II, he received a 7 year prison sentence when his plans to overthrow the Japanese military were discovered. General Choi was never to know freedom until after Korea’s liberation from Japanese rule. General Choi enrolled in a military language school, which later was to become the Korean Military Academy of today. General Choi was commissioned Second Lieutenant. The christening of Taekwon-Do, when General Choi, after exhaustive research, development and experimentation, proclaimed Taekwon-Do to the world as a completely valid and unique martial art having a basic Korean origin. General Choi led the Republic of Korea Army Taekwon-Do team on a demonstration of power and intriguing techniques to the Republic of China and the Republic of Vietnam thereby enhancing Korea’s national esteem as well as paving the way for the adoption of Taekwon-Do as a special part of the military training of both countries. General Choi received approval from the South Korean Government to declare Taekwon-Do as Korea’s National Martial Art. Then he led the Taekwon-Do Goodwill Mission on a demonstration tour of Europe, the Middle East, Africa, and Asia. 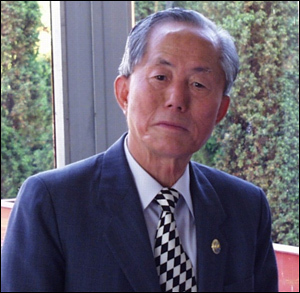 General Choi founded the International Taekwon-Do Federation in Seoul, Korea with the consent of 9 countries. In fact, this was the first time that the Headquarters of an International organization was established in Korea. General Choi led a Taekwon-Do demonstration team to a CISM (Council International Sports Military) held in France. This visit resulted in future plans for the adoption of Taekwon-Do as one of the CISM’s competitive events. General Choi was able to hold the first Asian Taekwon-Do Championships in Hong Kong. This was a significant event in that Taekwon-Do was internationally accepted as both marital art and sport. A tremendous worldwide event took place in the city of Montreal, Canada. The result was the First World Taekwon-Do Championships. This highest successful tournament was only made possible by the devotion and dedication of General Choi who single-handedly welded together this multi-national meeting of different nationalities. General Choi helped to form the All Europe Taekwon-Do Federation with founding members from 14 European nations including Poland, Hungary and Yugoslavia from Eastern Europe. With the founding of the Federation, in Oslo, Norway, General Choi’s vision of establishing Taekwon-Do as a worldwide non-profit organization had come true. At the time of General Choi’s death he held the rank of Grand Master (9th Degree Black belt). ITF-TFA. © Copyright 2018. All rights reserved. Designed and maintained by Silver Wolf Enterprises 082 900 4141.